Interview Blitz - in London THIS SATURDAY! Interview Blitz – in London THIS SATURDAY! Have you heard the news? We’re getting a head start on our 2013 Consulting Bootcamp calendar – MC is coming to London this week! Our trip to the UK marks the inauguration of MC’s Consulting Bootcamp service – where we provide a full A-Z on consulting interviews to eager audiences of MBA candidates, business majors, and consulting club members. London is the first stop in a series of on-site 1-day and 2-day bootcamps planned for 2013 – other cities on the docket include New York, Singapore, Boston, and San Francisco. Who are we meeting in London? Glad you asked! On December 6 we’ll be at the London School of Economics and on December 7 we’ll be at the University College London. If you’re associated with either of these schools and want details on the events, we can point you in the right direction – email us! Space is restricted at these events and they are available for students only – sorry! We’ve also reserved an entire day for ALL OF YOU! That’s right. We’re holding a 1-day Interview Blitz on Saturday, December 8 from 9:30AM-6:00PM. 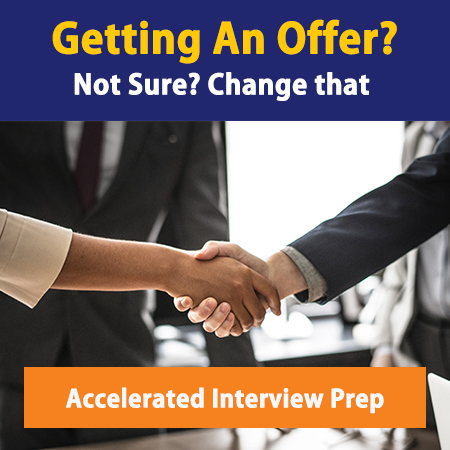 Sign up for one of two services – a power-packed 30 minute live resume review, or a full 60-minute resume review plus live mock interview that will prepare you for the toughest fit and experiential questions. Our feedback is tough, constructive, and unbelievably honest – but we also have fun! Just ask any of our 600+ interview prep clients this year! We service the majority of our clients via Skype – so we’re thrilled to be getting out of the office and into your backyard. Register now to guarantee your spot and meet us in person! Sign ups close on December 7. This Saturday (December 8), between 9:30AM-6PM, we’ll be at the University College London for the Interview Blitz. Coming from Paris, Dublin, Munich, Madrid? Don’t let that stop you – fly in! Show up 15 minutes early with your resume and come prepared to show off! Apart from getting to meet you in person – which we always love and prefer – this is a major milestone for us. It’s the first time MC will provide live interview prep services outside the U.S. It’s a trend we plan to continue. Want to have a say in where we go next? Add your input to the Consulting Bootcamp interest list. How often do you get to practice with a case expert – in person? One that isn’t going to potentially impact your future at the firm? Providing the opportunity to get raw, real feedback that will take you to the next level? Never, right? Here’s your chance. Don’t wait! If you’re preparing you for interviews with MBB, Deloitte, Accenture, Oliver Wyman, Booz, LEK, ATK, and more, we can help! To get access to the exclusive MC community, subscriber specials, exclusive content, and more – subscribe to our email list.